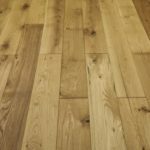 14.How will I maintain the good looks of my newly restored floor? 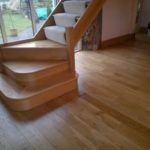 Wooden flooring finishes require nothing more than sweeping or vacuuming. Simply sweep, vacuum, or dust-mop at least once a week to minimize damage caused by dirt, sand, and grit. (Such particles act like sandpaper, scratching and dulling wood floors). The use of a broom with fine, exposed bristles will help trap and remove grit. Place rugs or floor mats at entrances to reduce dirt being transferred to the flooring and shake them out frequently. Furniture points in contact with the floor (I.e. Chair legs) should be fitted with felt pads to reduce scuff or scratch marks. When vacuuming, it is recommended to use a brush attachment, since beater bars can damage a floor’s finish. 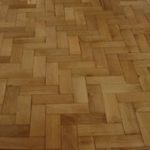 It would be recommended to lightly damp-mop the floor (Too much water may cause the floor to swell, warp or discolour) using a dilute mixture of wood cleaner and water to remove spills and foot tracks. General household cleaners may abrade and dull the floor finish.